In March 2012, I have started a mentorship with Karen Jamieson exploring relationships between community engaged dance and professional dance practices. As part of this project I am dancing with the DTES community at Carnegie Hall. 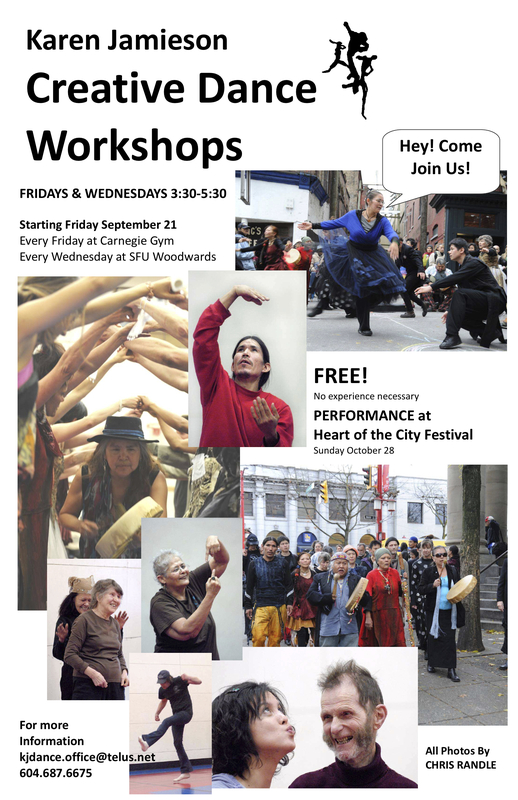 We will practice and then perform as part of the Heart of the City Festival on October 28. Workshops are free and open to the public.